Yeah... I realize Jon. But you know how it is... when you feel close to a show from your childhood it is sometimes hard not to compare them. And unfortunately for me The Dukes of Hazzard is one of those cases. 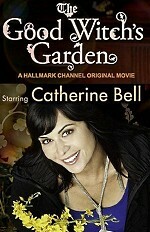 Cassandra ‘Cassie’ Nightingale (Catherine Bell) has settled into Middleton and is busy making a home of Grey House. Her boyfriend, Sheriff Jake Russell (Chris Potter), and his kids are happy to have Cassie in the neighborhood, but she has yet to gain the trust of some people in town. Before long, a stranger rolls into town with papers entitling him to legal ownership of Grey House. Before she knows it, Cassie is left without a home and is convinced Middleton isn’t where she belongs. Ultimately, everyone will learn holding on too tightly to something can make it more likely that thing will slip through your fingers. Before you start scratching your head... no... as far as I know this is not available on DVD yet. This is actually from a TV Recording I did myself. But I am hoping to see a DVD release of it before too long so I can junk this recording. After watching Still Small Voices this morning I wanted to watch something more with the always lovely Catherine Bell. And since I watched the first movie of this trilogy not that long ago I thought I would watch the sequels as well. I enjoyed this first sequel just as much as I did the original movie. It has enough sub-plots to keep the story moving and interesting... while limiting it just enough so that there isn't too much going on. I really enjoyed the main storyline of the guy trying to swindle Grey House from Cassie. Once again Catherine Bell was great as Cassie. The more I see her in the bigger fan I become. Cassie Nightingale (Catherine Bell) has settled comfortably in Middleton with a successful boutique and is now engaged to Police Chief Russell (Chris Potter). But with only two short weeks till Christmas, Jake is desperate to find the perfect gift. With no wedding date set, Jake wants to give Cassie a family for Christmas this year and suggests they get married on Christmas Eve. But, as usual, things don't always happen as planned and Cassie must use a bit of magic to give her new family that special Christmas. Once again this has not yet been released officially on DVD. It is one that I made off my own recording. It is the third movie in the series. The latest movie... though I do hear they are making another. While I still enjoyed this one very much. It wasn't quite as good as the previous two. Almost but not quite. 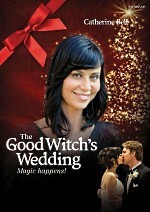 It is a good mixture between a wedding and Christmas storyline. After watching this again now... I can't wait for any future movies they decide to bring out. How will I ever decide what to watch? Oh I definitely want to end it. I been saving that movie... looking forward to seeing it for 2 months now! Fueled by hatred and jealousy, Lex Luthor masterminds an elaborate plot to kill the Man of Steel - and it works. Poisoned by solar radiation, Superman is dying. With weeks to live, he fulfills his life's dreams - especially revealing his true identity to Lois Lane - until Luthor proclaims his ultimate plan to control the world with no alien hero to stop him. Powers fading, Superman engages in a spectacular deadly battle with Luthor that could truly trigger the end of Earth's Greatest Protector. This startling and gripping DC Universe animated original movie stars the voice talents of James Denton, Anthony LaPaglia, Christine Hendricks and Ed Asner. As much as I love animated superhero movies... this is the first time I have seen this one. While I sit here typing this review I am still not completely sure how I feel about the ending. But over all I really enjoyed this movie. One thing I like is this actually works for my birthday marathons as well... as a decent sized part of this movie has Superman giving Lois the same superpowers he has for 24 hours for her birthday. Anyway... as I said... I enjoyed this one... glad I finally got around to watching it. 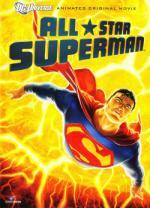 If you are a fan of the animated Superhero movies I think you will enjoy this one as well. Well that is it! Finished my marathon challenge! looks like 2 months to me! No biggie Jimmy! I just having a bit of fun with ya! You finished already? Sheesh...I've only managed to get one watched and I haven't even gotten a post made about it yet. Oh well...I'll finish...in like 10 years. But seriously, it was Pete himself who started this saying, he wants to finish within 2011. That is what I am targeting at.